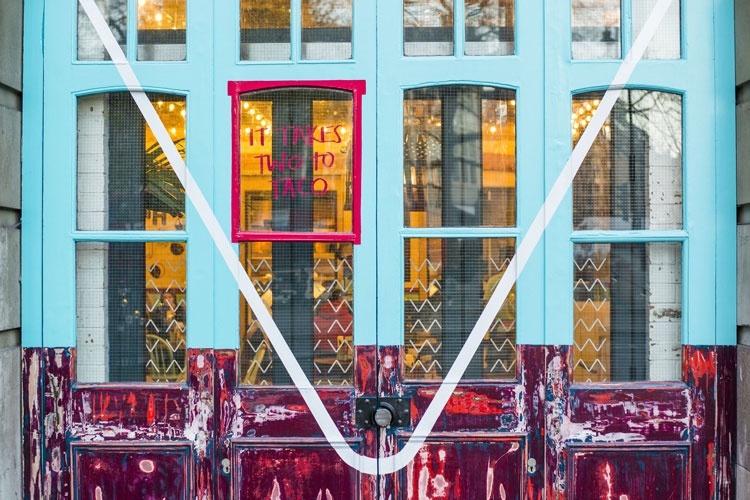 The Mexican chain’s new restaurant in Shoreditch is hoping to help it “refocus its brand”, and has been given a colourful, food market-inspired look by the consultancy. 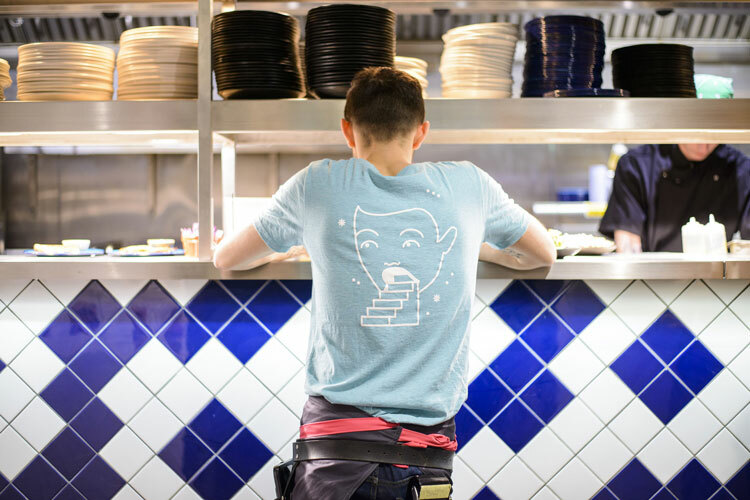 DesignStudio has worked on the branding for Wahaca’s Shoreditch test kitchen, an offshoot of the Mexican restaurant chain that allows customers to try out its newest dishes. 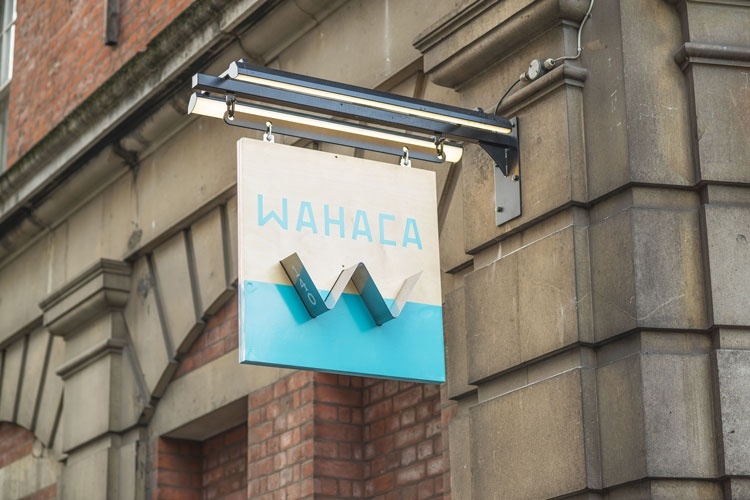 Wahaca first launched in London in 2007, and has since grown to include 26 branches across the UK. 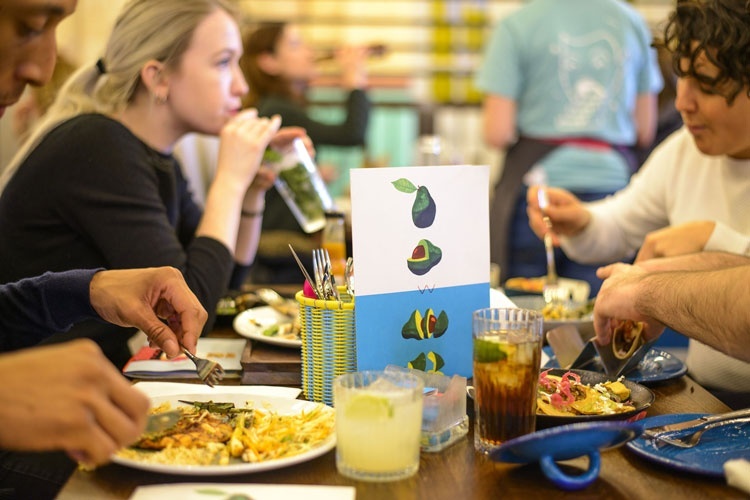 The chain’s latest opening is its food market-inspired test kitchen in Shoreditch, which was launched to help “refocus its brand”, says DesignStudio. 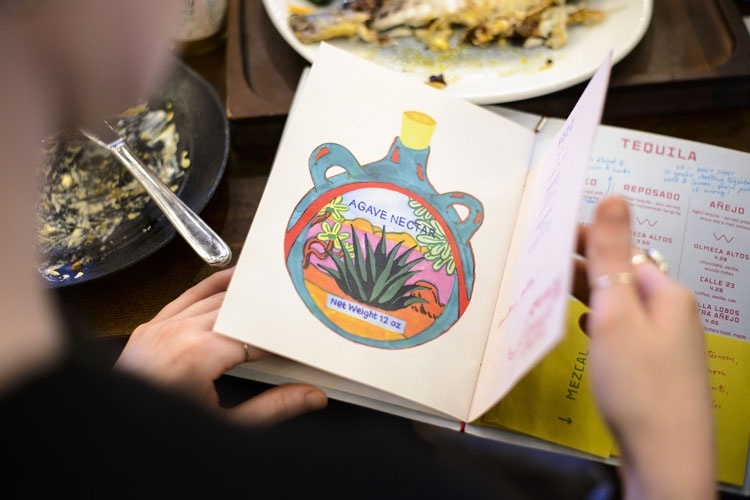 The consultancy was brought in to create an identity for the restaurant that takes cues from the “buzz and experience” of a Mexican market, it says. 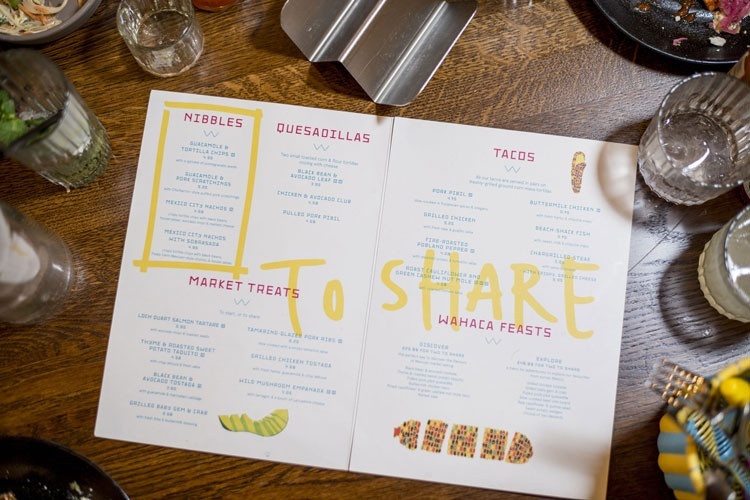 The utilitarian, zig-zag shaped taco tray commonly used to serve the staple Mexican dish has been transformed into the centrepiece of the branding, creating a “W” monogram that will be used across its social media platforms, signage and menus. Four illustrators – Joe Kessler, Amanda Baeza, Brie Moreno and Bonnie Eichelberger – were commissioned to create a series of colourful visuals that nod to Mexico’s association with the 20th century Surrealism movement. 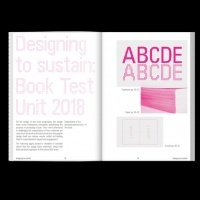 DesignStudio has also designed a bespoke typeface, Oaxaca Irregular, that takes inspiration from the signage typically seen in food markets, and has developed a “playful” tone of voice to go with it, says the consultancy. Modern, quirky, textural, clever identity. Loving the bright contrast and rich patterns. 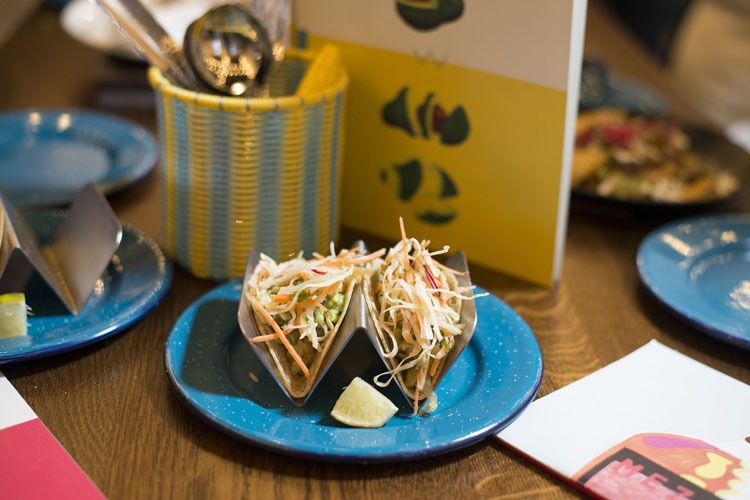 Love the utilisation of elements used within the actual restaurant (the Taco holder), as a branding device. 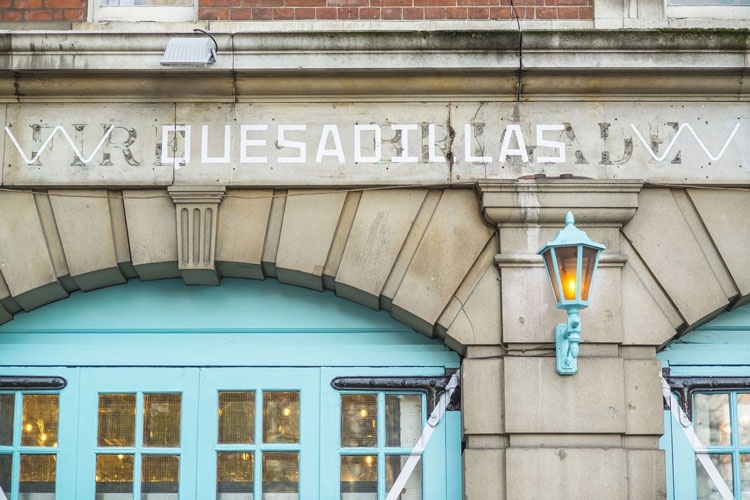 Also really like the font derived from Mexican food markets. Only thing I’m not so sure about is the signage applied to the outside of the building. I thin it lacks impact. 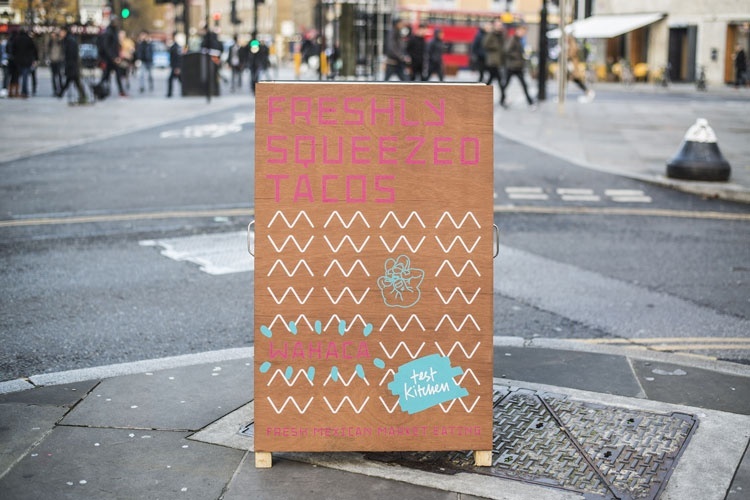 Would be been better if hand painted onto a blue board, taking inspiration from the hanging sign, maybe? Trying to pass off a generic taco holder you see in every mexican restaurant as a logo that they have created and then got these made to hold their tacos. The audacity is astounding. Pink lettering on wood grain…? Mmm… and different ‘w’ shapes for logo and signage, pick one ffs.